The Raven is a creature of brave trickery and knowledge. 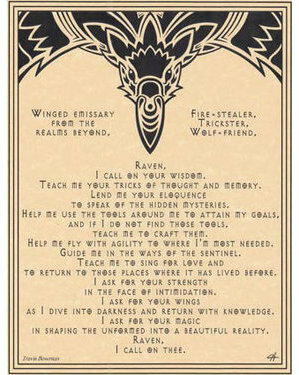 Use the Raven Prayer poster to aid you invoking the spirit of this animal and seeking the wisdom and guile when you need it in your life. 8 1/2" x 11".